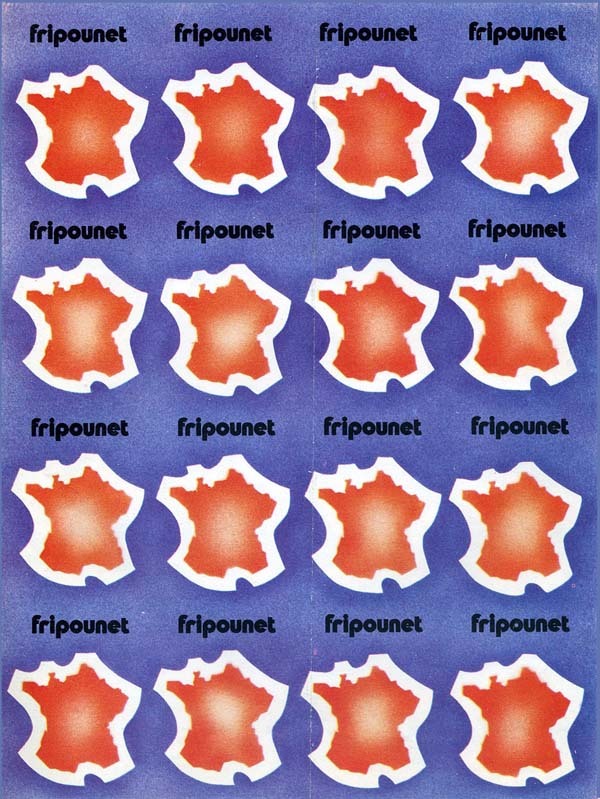 This is a card game offered by the magazine Fripounet (nº 27, july 4th-10th, 1979). 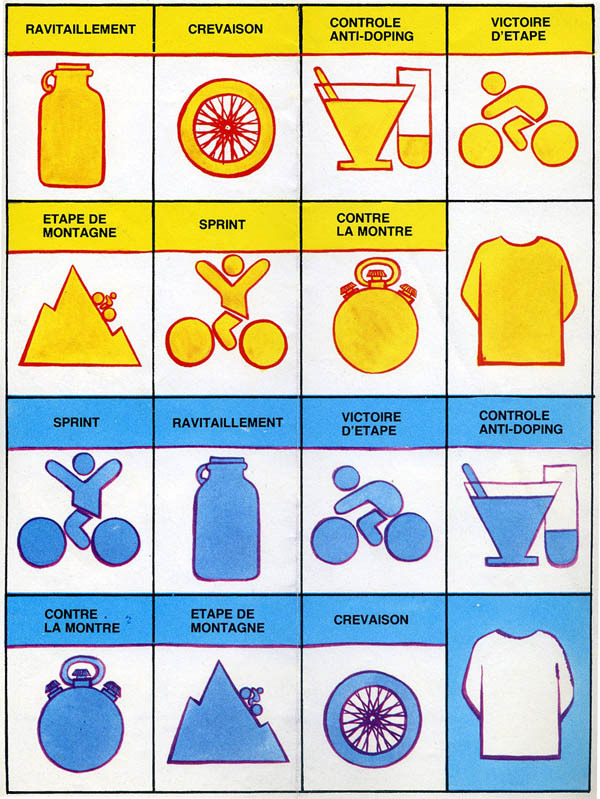 I do not include it in the "cycling-related card games" section just because it does not look like a card game at first sight, but it is one indeed. The cards were included as two extra cardboard pages and you just had to cut them. Here are the 32 cards. 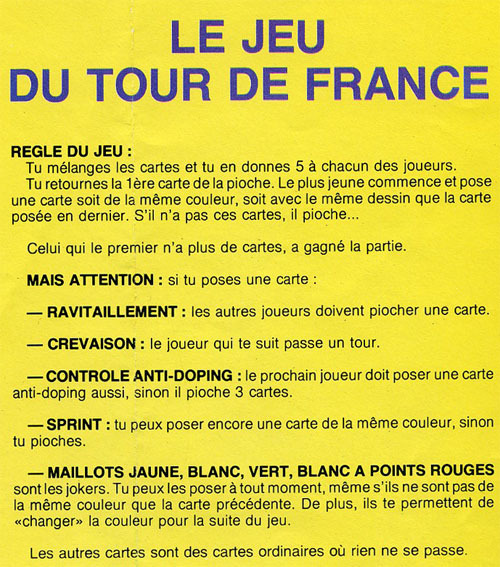 The rules of the game are those of a card game (one of what David Parlett defines as "the eights group"; the most famous game of this group is Uno). By the way, note that the name of the game is not the same that the one on the cove of the magazine. I chose the first one just because it is less common. Back of the cards. Yes, you can print your own game if you feel like it. If you want better quality scans, just email me. 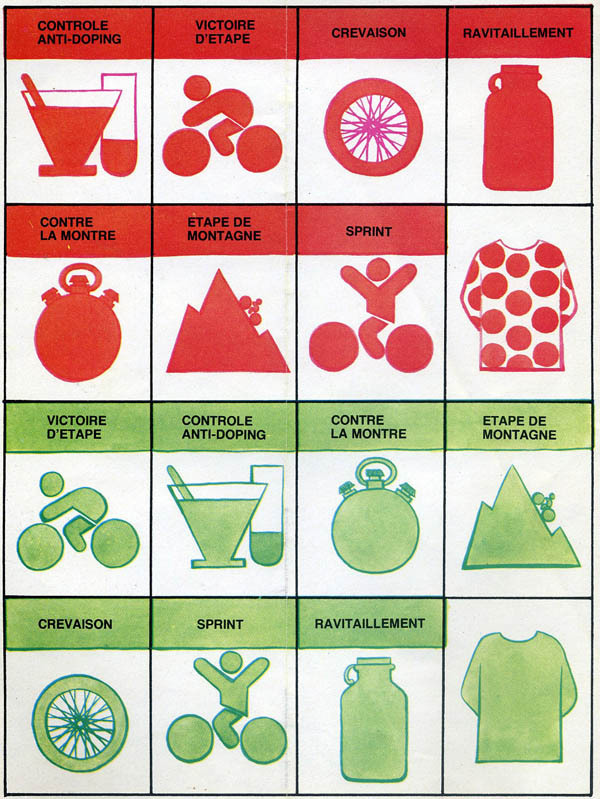 This is not the only cycling game offered by Fripounet and Marisette. 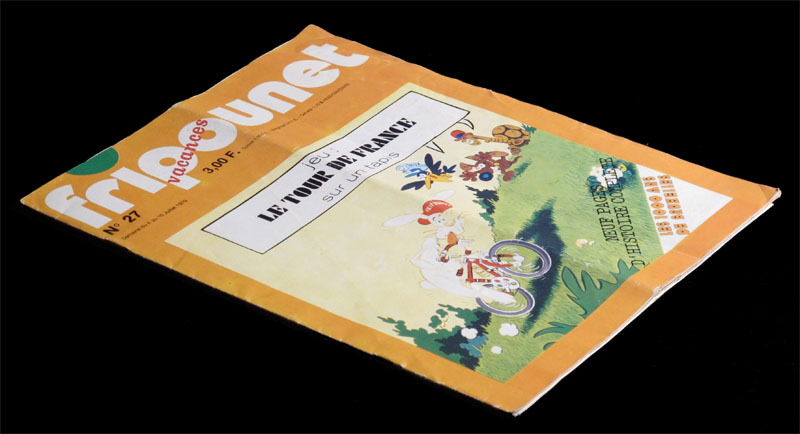 Here is another cycling game offered by Fripounet a quarter of a century before. Thanks to Didier Maria helping me to find these games.